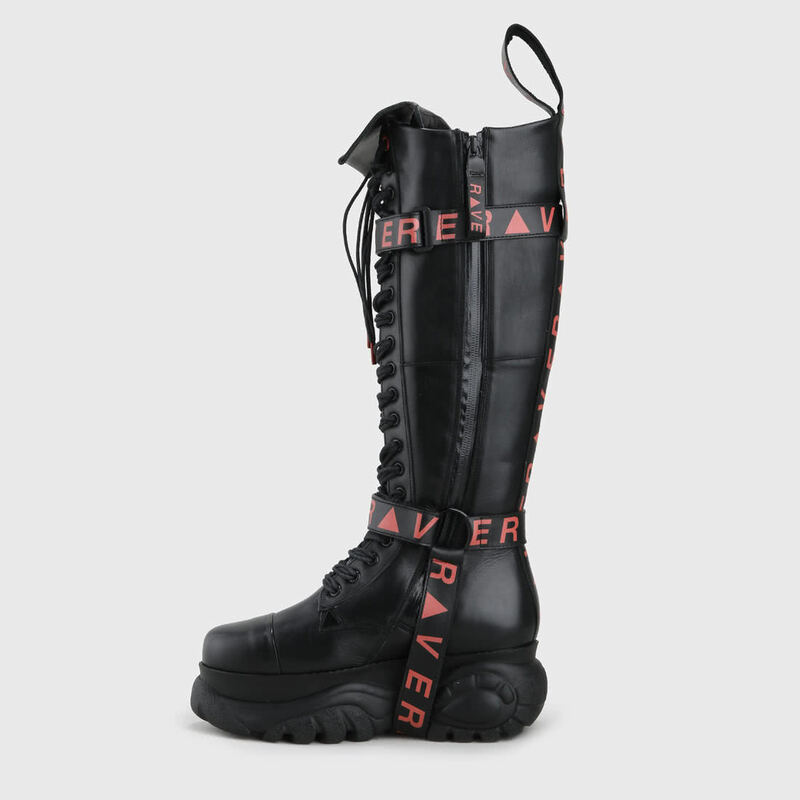 Stylish, space-like, Rave High! 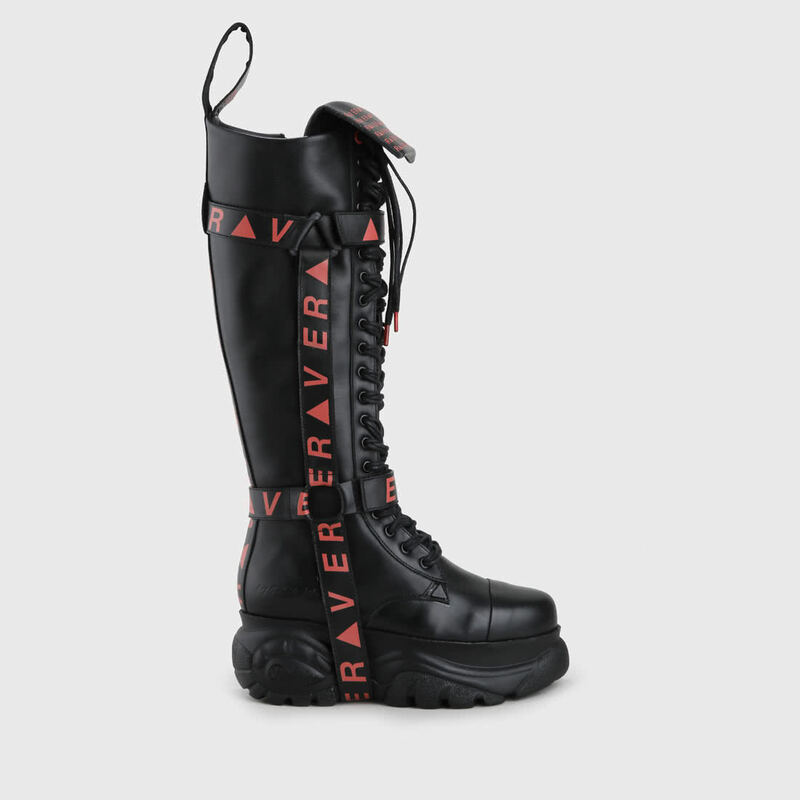 With the black leather Rave high platform boots, you get to prove your true sense of style without risking being too girly. 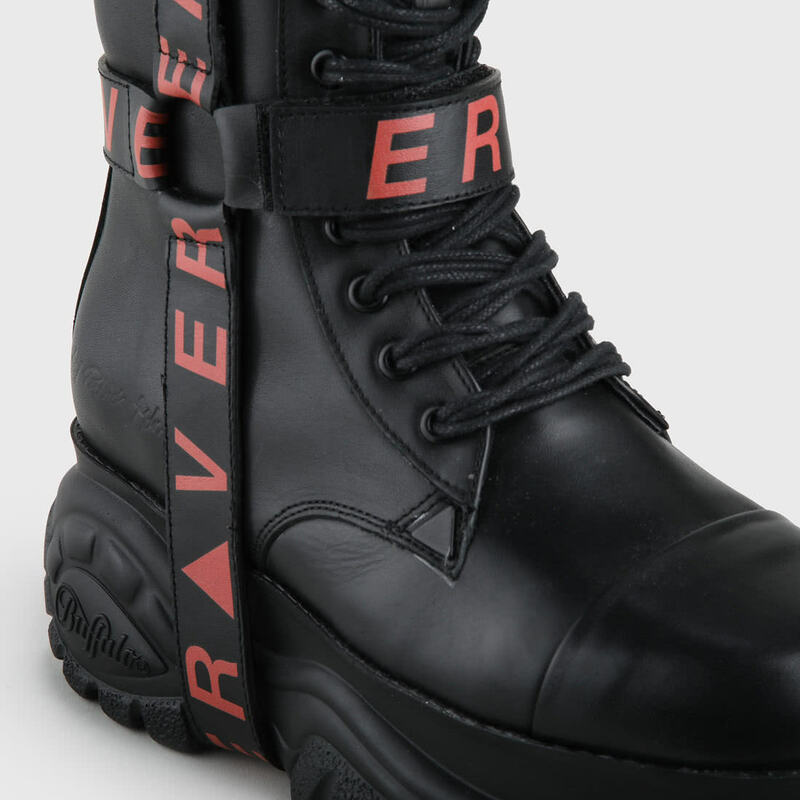 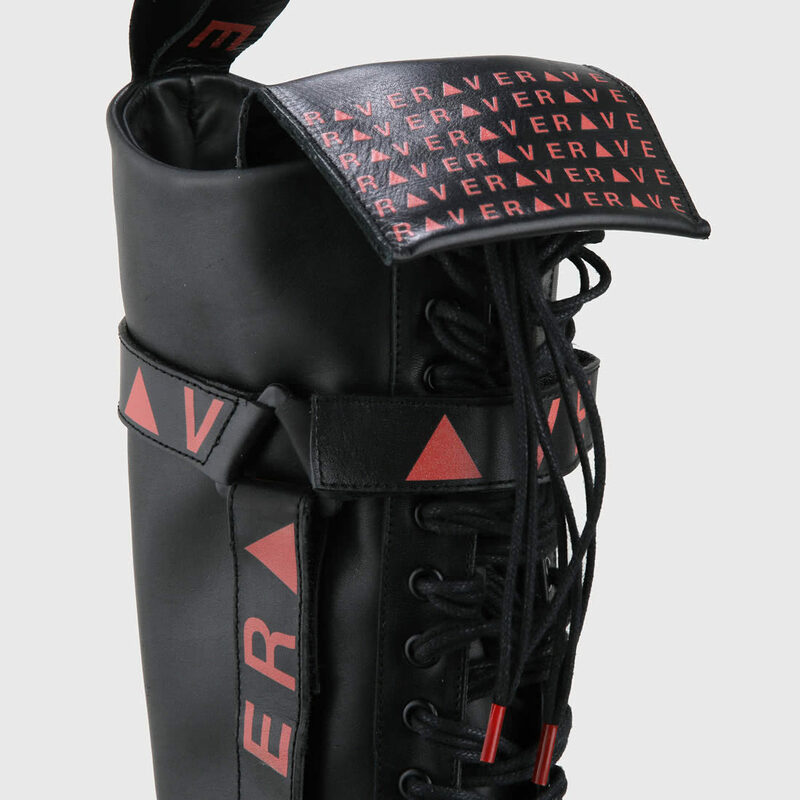 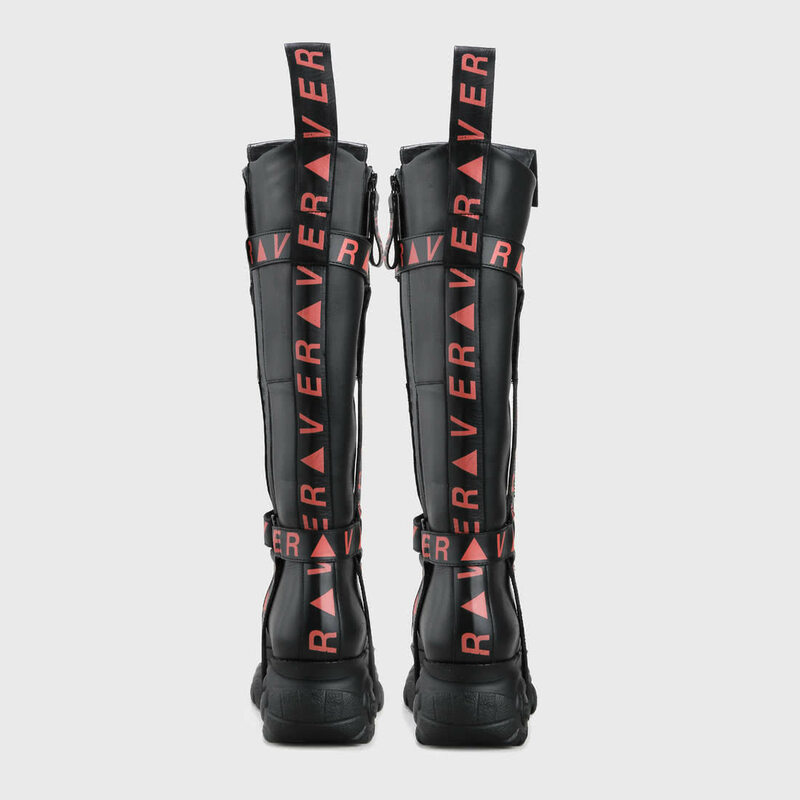 The high boot by the Patrick Mohr x BUFFALO London collaboration is rounded off by striking straps with the RAVER print. 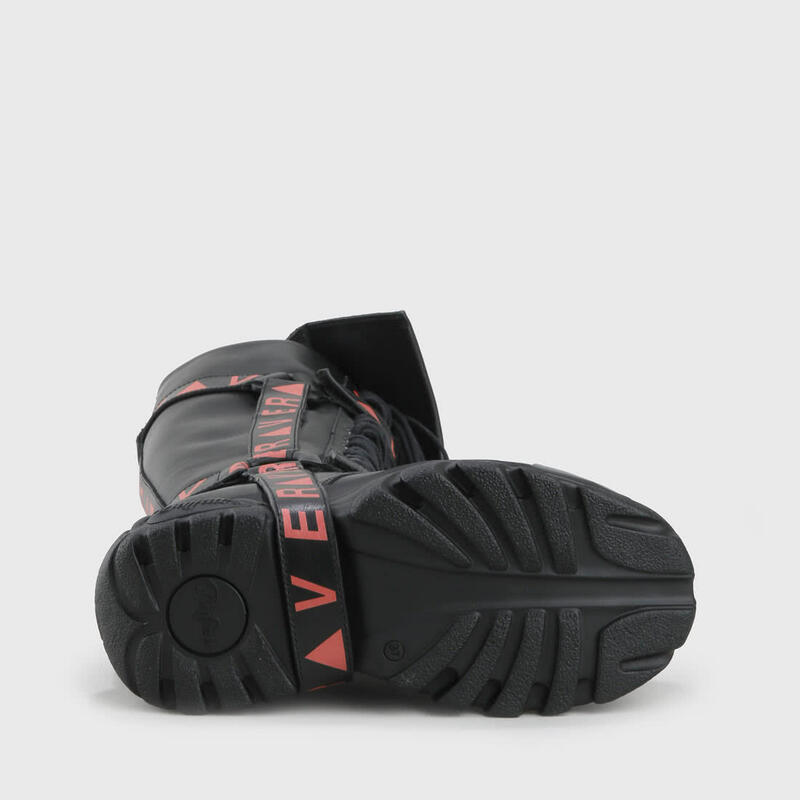 Along with some red details, they are simply bound to be dashy.